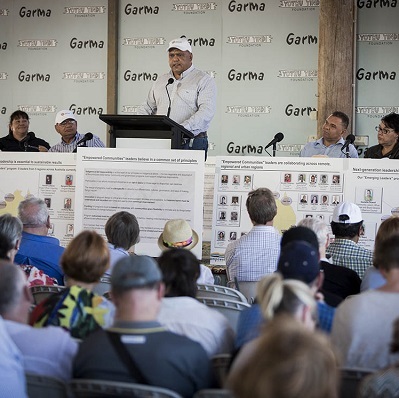 The Yothu Yindi Foundation have been involved in the Empowered Communities concept launched at the 2103 Garma Key Forum. The plan includes eight regions collaborating from across Australia in partnership with state & federal governments with a grass roots up approach. YYF will announce the appointment of the North East Arnhem Land Empowered Communities representative in the coming weeks.